Here comes the real finishing photo for my Beijing to Freiburg roadtrip! End of May, I had to use a rented GTI as a stand-in for the C-Trek, but today I could finally get the original car to its original destination on a beautiful autumn day — 196 days after leaving Beijing on a similarly beautiful spring day. However, before closing this roadtrip story, I first had to obtain my customs release for the car and unload all the luggage we had to leave behind in Kashgar. Plus, I spent a bit of time and work on getting rid of the dust the car had collected over its journey… Especially the inside hadn’t seen a vacuum cleaner for most of the journey, and especially the super fine desert sand of the Taklamakan is really good at sticking really everywhere. We have reached the Mediterranean Sea! Container ship MSC Rifaya carrying my container has left Port Said a few hours ago after it had passed Suez Canal in the past days. If everything goes as planned now, the vessel should reach the port of Hamburg later next week. And that could mean that my car could go through German customs in around two weeks… Keep your fingers crossed! Things are moving! 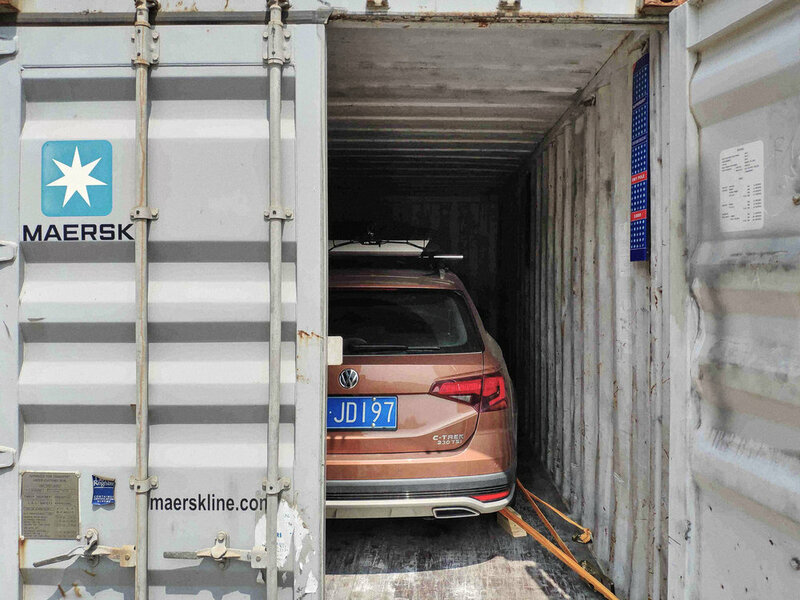 The container with my car reached the port of Shanghai yesterday. Cruising down Yangtze River took longer as planned due to heavy traffic and even heavier rain. After being loaded on a larger container ship, it is now bound for Malaysia. From there the long journey to Europe really starts, planned arrival in Hamburg is now September 25th. Alright, we have progress! After 5.000 km across China, some haggling with the truck driver and a towing company my car made it to Nanjing last week. Since then, it has gone through the customs procedures and loading into the sea freight container. So, if everything goes well now said container should be in Hamburg around September 18th!